Everyone is familiar with the problem of persistent household odours that can be difficult to get rid of despite repeated cleaning, washing or airing. We have the biological solution that puts an end to this nuisance! Based on active micro-organisms, odoActive works completely independently and without any mechanical support. The applied microbes are specialised in bio-degrading organic residues, i.e., in eliminating odour causes. The preventive and odour-eliminating effect thus is noticeable within minutes. 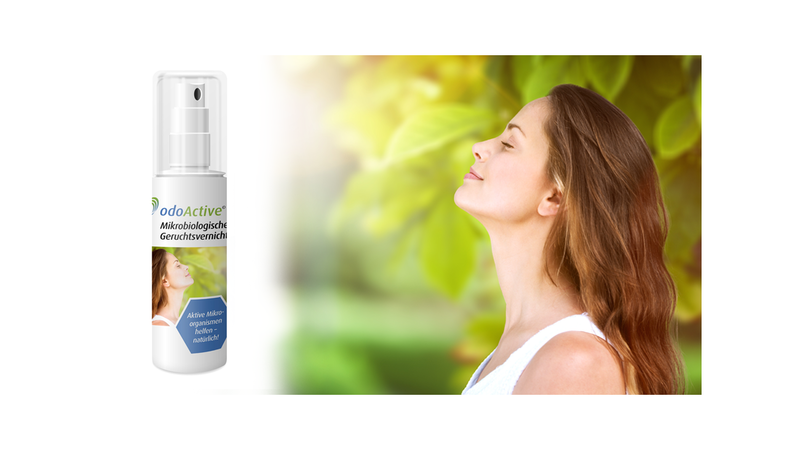 odoActive must simply be applied to the areas where odours have their source. The micro-organisms contained in the product take care of the “rest”.